Even for a smartphone addict such as myself, the world before mobile phones arrived seemed like a much simpler place. So, it’s inevitable that some consumers, especially those who managed to survive without a mobile phone for most of their adult lives will see no need for a smartphone. The problem with that is that mobile phones are an easy way to keep us safe and connected, especially those more vulnerable members of the family. This is why Swedish telecommunications experts Doro are heavily invested in creating phones that are tailor-made for seniors. I am in my thirties, so I clearly don’t fall into the senior category but I have reviewed the Doro 6050 on it’s own merit rather than in comparison to more sophisticated devices. 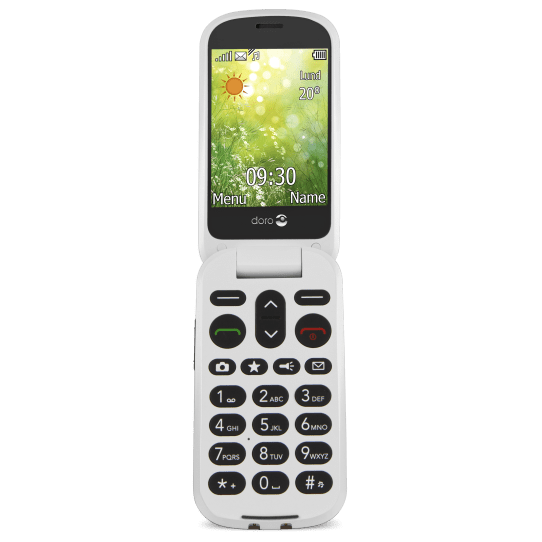 The Doro 6050 is a flip phone that comes with all the basic features you would expect from a telephone but with a few additions that will definitely make life easier for seniors. It is hearing aid compatible, has talking keys, a 2.8 inch screen with extra large fonts and the sound can be adjusted so the ringer is louder than the average phone. It also features an assistance button and ICE (in case of emergency) settings so that if the user is ever in need of immediate attention, a quick look through the phone will tell emergency services who to call. It also has email integration, a back-lit keyboard, FM radio and a 3MP interpolated camera. 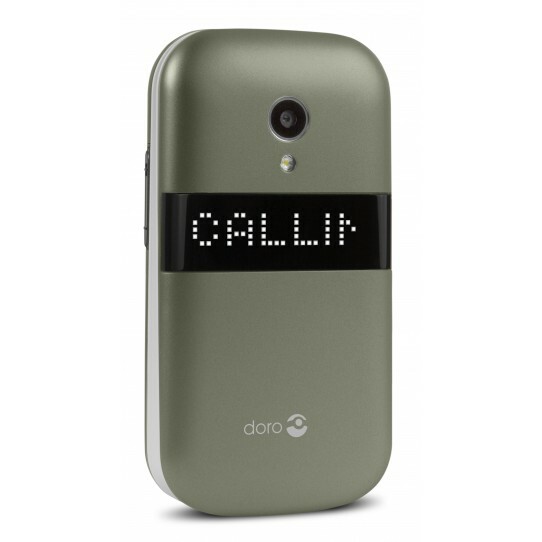 Something that will appeal to many users is that you don’t have to open the flip phone to see who is calling. That information will appear on the screen as it rings. It is Bluetooth enabled, comes with a USB cable and has some games for entertainment value. The phone itself has a simple design. It comes in brown and champagne and has a bank of simple ringtones and tunes for customisation of the ring feature. It’s light and easy to operate. The keypad is in the traditional three letters to a key format rather than a QWERTY keyboard. The phone was easy to get going. After the SIM was inserted and the phone was charged, there wasn’t much else to do to set it up, other than time and date setting and ring customisation. The battery life was impressive. After three days, the battery was nowhere near depleted yet, and I had played games quite a few times in that period. The large fonts on the phone could indeed be very useful for someone who can’t see well and the flashing mailbox symbol on the outside of the phone was useful for alerting me to texts. For hearing aid users, I think this could be a great device since it integrates with them and it has a Hearing Aid Compatibility Rating of M4/T4. Overall, I think this is a good buy for anyone who wants to stay connected without all the complications that come with smartphones. The hearing aid integration and extra large fonts are ideal for seniors and will certainly make usage easier for them. The only thing letting this phone down is the camera. I think this could be improved to provide higher quality images. No matter what age the consumer, a good camera is always appreciated. I would recommend this device to my older relatives and neighbours. 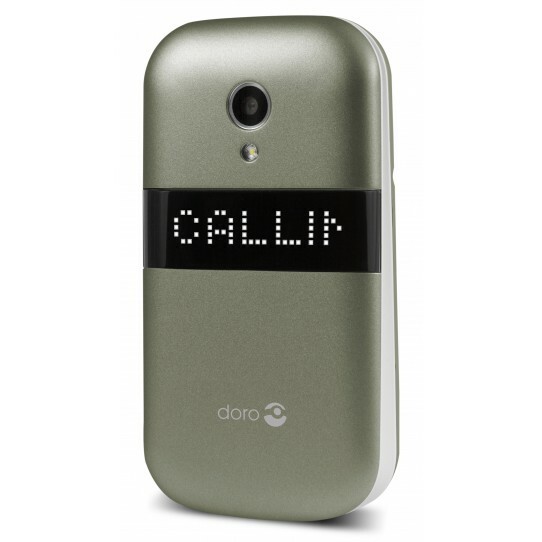 You can read more about the Doro 6050 by visiting the Doro website. Next story The Kodak Ektra – Will this change the face of smartphone photography?